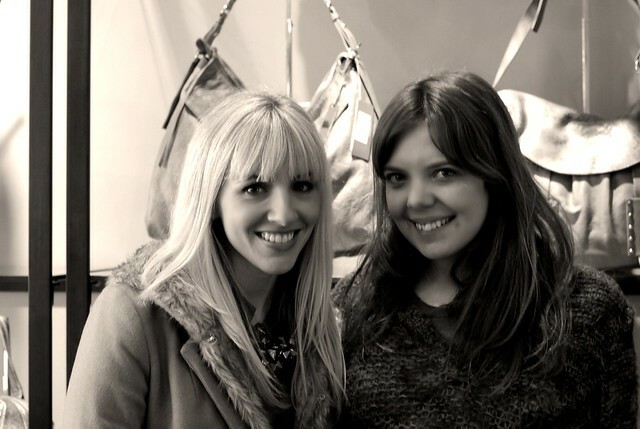 While in New York I visited Tanya from Botkier in the NoLIta boutique. I'm a big fan of Botkier handbags (evidence here). The store was full of pretty details and unquestionably gorgeous bags. I had to snap a photo of the Confetti System decorations for my fellow Glitter Girls! The Botkier team is so supportive of my blog and treated me to a new handbag (stay tuned). I also attended the IFB conference where I spent time with Meghan, Jenni, Christine, Kristina and Christina. The highlight was getting my photo snapped my Mr.Newton. I'm so surprised when people actually like my outfits. I just dress in what makes me feel good and the fact that it's appreciated is an added bonus. I love the skirt and the polka dots really work with it! That is so cool! Can't wait to see your new bag. I too am in love with the polkadot blouse. 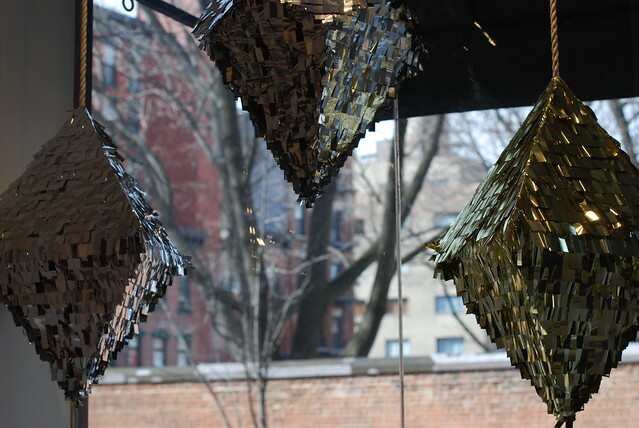 I love the Confetti system pinata, and im a big Botkier fan so love this post! It was so lovely to spend time with you too, chica! 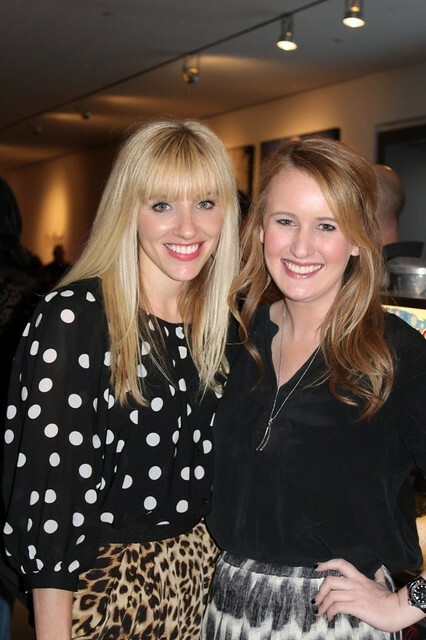 I loved the photo Mr. Newton snapped of you - and you know I loved the polka dots & leopard!! Great combination of prints! Love the sparkly confetti decorations! I was so excited when I saw that picture of you!! Congratulations what a wonderful trip and ohhh Botkier!! YAY! Eeee!! Can't wait to see your new bag! Lusting after your skirt so cute! Can't wait to see the new bag. 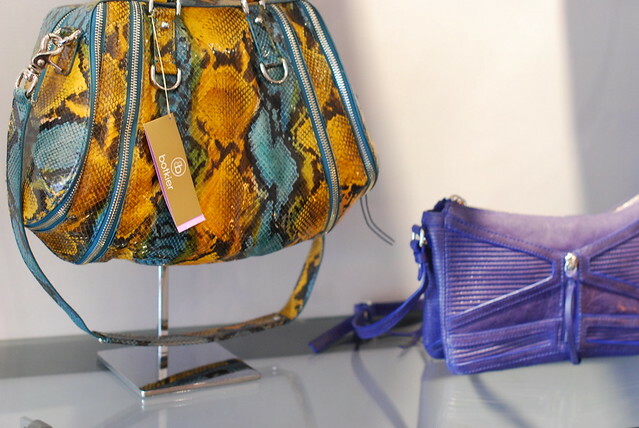 Gorgeous bags! You look stunning!! Ahhh don't be so humble, you know you have great taste;) I saw you on mr. newton before you posted about it, so great!! I love his street shots, awesome to be a part of it. LOVED seeing you in harper's bazaar! congrats! You look gorgeous! 1) Love your hair like that (I think I said that already?!) and the outfit is just beautiful! I adore that first bag! And you looks so chic here -- of course everyone waned to snap your photo! I love the polka dots mixed with the leopard print. Who wouldn't want to take your picture? You are a living doll! Love the outfit. Lovely bags and nice pics! You always looks soooo trendy! love itttt! Lovely outfit! I never thought of pairing polka-dots with leopard!! I love that!! Oooh, I love the leopard+polka dots of this outfit! Oh my word! Polka dots and leopard! I die! I LOVE the combo! I'm glad you had such a blast! And of course people like your outfits, your style is always deserving to be captured by others' cameras. You look lovely, and love all the purses galore! such a fun outfit - no wonder mr. newton snapped you :). and yay for a new bag gratis! this is very cool. i especially love the last part you wrote. effortless style that is appreciated is a gift!! and speaking of gifts i look forward to seeing that new handbag. congrats! i love the confetti system decorations! can't wait to see which bag you took home. oh my goodness, I love your bangs! You are so cute! 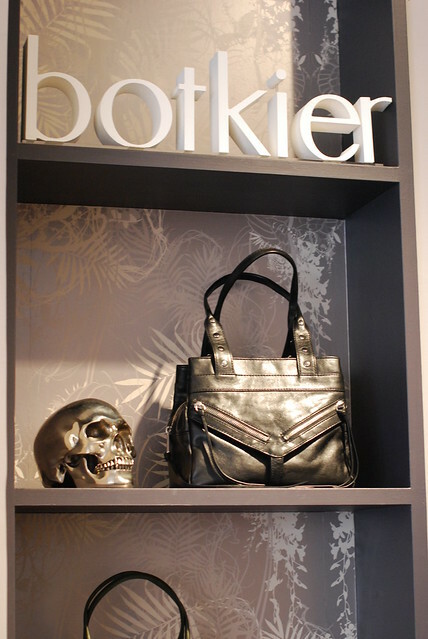 I'm a huge Botkier fan as well - I'm shopping for a new one now actually. I've always bought from Saks, but I'm definitely going to check out their NoLIta boutique after seeing your post. Thanks!! I love the leopard polka dot combo, looks really great and fun! I love your jacket!! Where is it from?? And your style is gorgeous!